McAleese Limited, the Melbourne-based bulk haulage and specialised lifting company servicing the Australian mining and resources sector, yesterday announced that McAleese Resources Pty Ltd, a wholly owned subsidiary of the company, will double the levels of iron ore haulage for the Atlas Iron Limited Mt Webber mine. Under the terms of its existing four year agreement, which is valued at around $250 million, McAleese will now increase its haulage capacity to meet the 6 million tonnes per annum requirement by January 2015. According to the ASX announcement by McAleese Limited, McAleese Resources will begin haulage of 3 million tonnes per annum for the Mt Webber mine in mid-2014, adding more than $220 million in additional revenue over the life of the agreement. “We are extremely pleased to be awarded this additional 3 million tonnes for Mt Webber and are looking forward to delivering safe and efficient services to our long term and valued customer, Atlas,” said McAleese Group Managing Director and CEO, Mark Rowsthorn. Further, McAleese will invest around $30 million in operating equipment and supporting infrastructure during the second half of 2014. “We have expanded our Port Hedland facility and are continuing to grow our operational capacity in the Pilbara,” added Mr Rowsthorn. 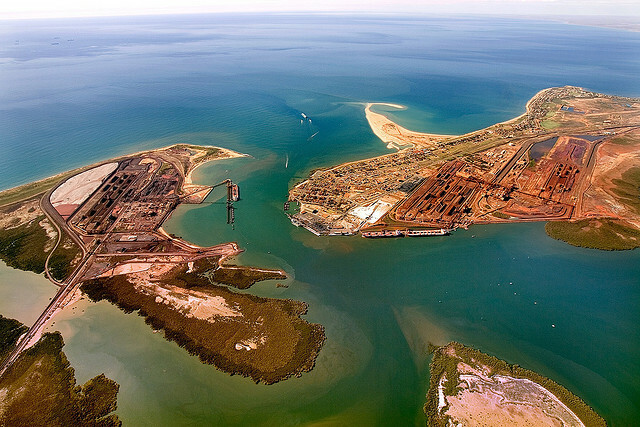 Atlas is an independent Australian iron ore company, mining and exporting Direct Shipping Ore (DSO) from its mining operations located in the Northern Pilbara region of Western Australia. The Mt Webber project is located approximately 230 kilometres from the Utah Point port facility in Port Hedland spanning mining tenements M45/1209 (Atlas 70%, Altura 30%), and the northern adjoining tenements M45/1197 (Atlas 100%).